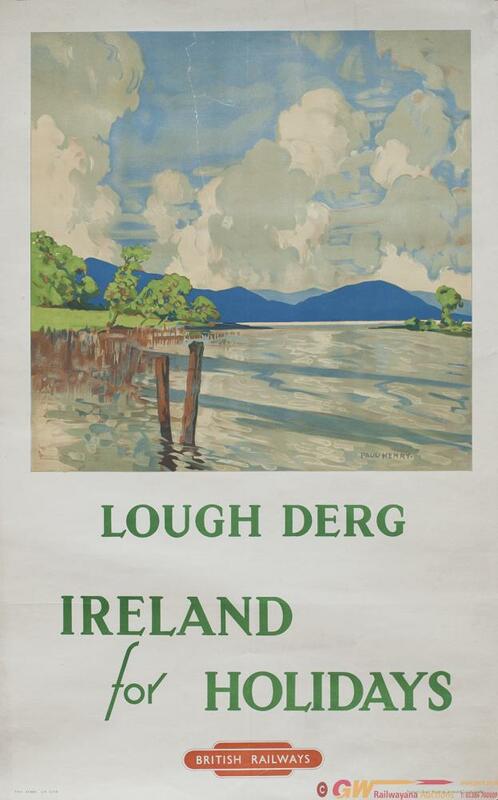 Poster BR LOUGH DERG IRELAND by Paul Henry. Double Royal 25in x 40in, published by The London Midland Region in 1949. In good condition with tear repair and has been mounted on rice paper.